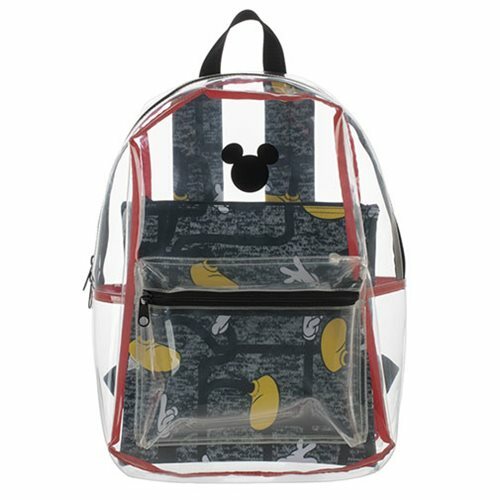 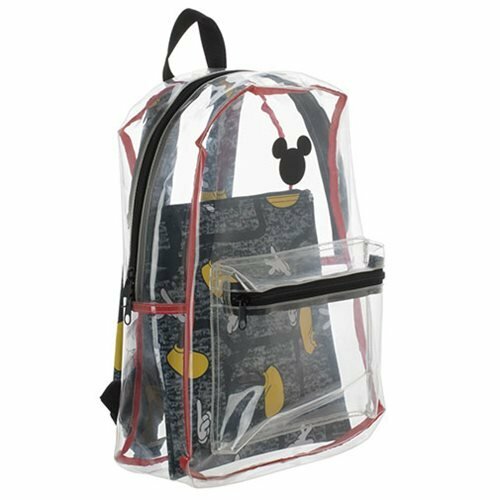 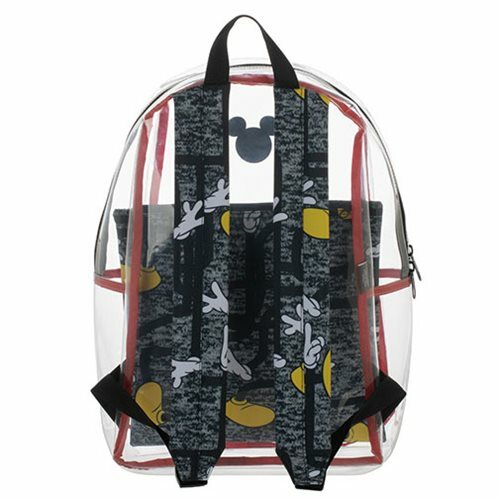 Whether you're headed back to school or out on an adventure, pack what you need in the Mickey Mouse Clear Backpack with Pouch. 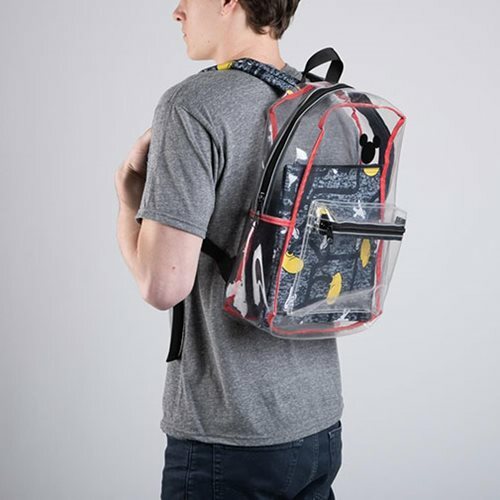 Complete with padded should straps, the back is made of a durable, clear PVC material. 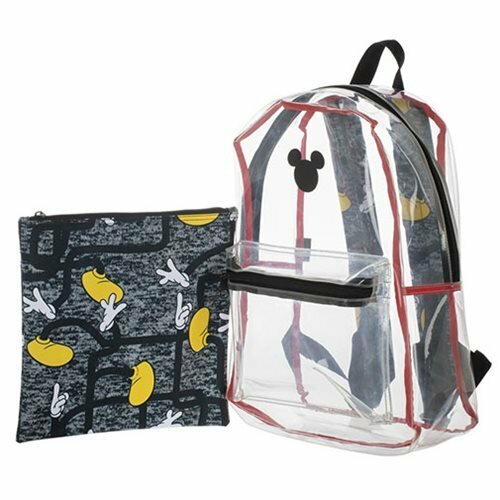 It includes a removeable zipper pouch. 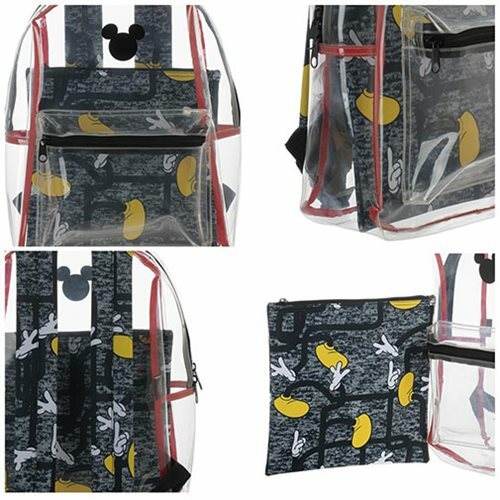 It measures approximately 16-inches tall x 12-inches wide x 5 1/2-inches long.